ROCK RESTORED VINTAGE 1961 STAINLESS BULOVA 3818A MILITARY HACK ORIGINAL MILITARY ISSUED STRAP AND ORIGINAL MILITARY VELCRO WITH COVER. 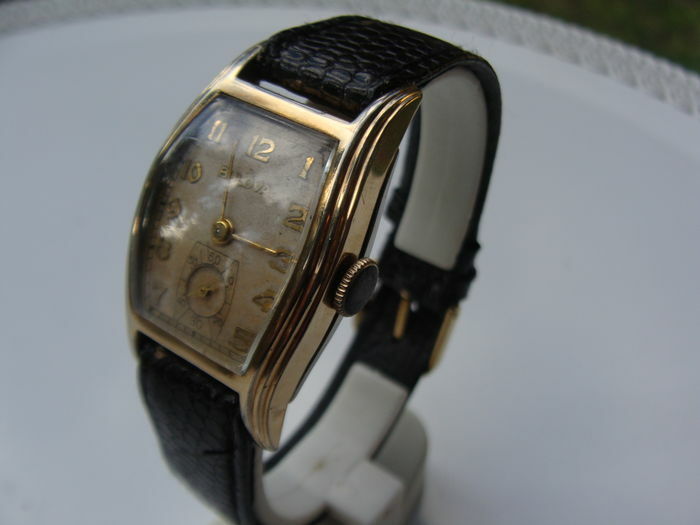 CASE BACK SIGNED RESTORE BY ROCK -WRIST WATCH ID = MIL-W-3818A SER AF6645-808-1407 BULOVA STOCK NO. 10BNCH CONT. NO. DA-36-038-ORD-21169M U.S.+ MOVEMENT SIGNED 10BNCH BULOVA WATCH CO USA M1 (1961)CONDITION FINE TO MINTY PROOF. 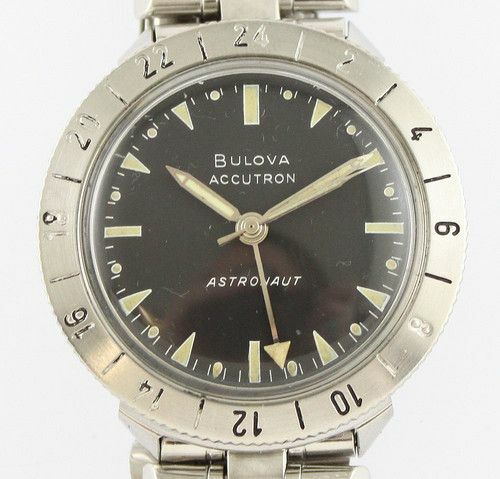 ROCK RESTORED WHILE BULOVA CONTRACTED STAR WATCH CASE CO TO BUILD THEIR CASES, THERE WERE OTHERS -DEPENDING ON THE DATE ….THIS IS NOT A STAR CASE BUT IS A PURE BULOVA .HACKING A-17-A BUT NOT A TRUE 24 HOUR WATCH BECAUSE BULOVA NEVER MADE A PURE 24HR MIL-SPEC WATCH FOR ANY MILITARY .. EVER PERIOD AND NEVER EVER MADE USA MILITARY WATCHES AFTER 1958/ THUS THE USA MILITARY NEVER EVER HAD ONE! THIS IS A TRAINING PAGE CONCERNING TRUE OR UNTRUE: USA 24 HR MILITARY WATCHES? THAT MEANS ONE REVOLUTION EQUALS 24 HR RATHER THAN 12 HOURS. PLACED THE ABOVE BELOW DIRECT FACTUAL US MIL SPEC MILITARY LIST OF WATCHES AND DATES. THERE ARE MIL-SPC PAGES AND NONE HAVE A 24 HOUR MOVEMENT. OF ANY BRAND LET ALONE BULOVA. NO FAT SHEETS, SPECIFICATIONS OR ITEM NUMBER FOR A BULOVA 24 HR MILITARY.